Central Park. Paul Goldfinger © Tri-X Collection. 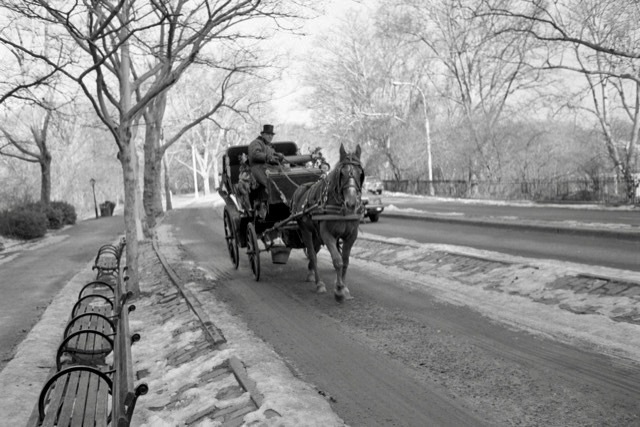 Despite the efforts of New York City Mayor Bill DeBlasio, the horse drawn carriages remain a nostalgic icon of Old New York, still clop clop clopping around town. Ocean Grove had that for awhile a few years ago, but that treat has vanished.